Includes 255 lbs of weight plates! 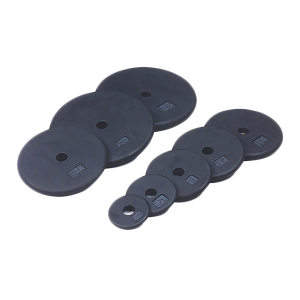 Designed using state-of-the art technology, Body-Solid Rubber Grip Olympic Plates surpasses all others in quality, accuracy, reliability and price. 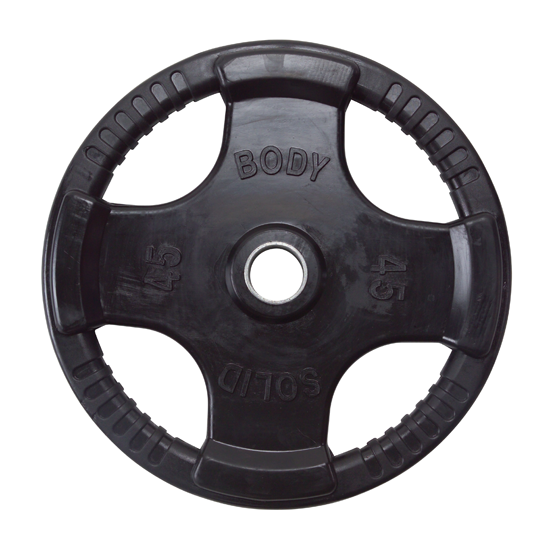 Quad-grip design guarantees safer and easier performance than any other plate on the market. 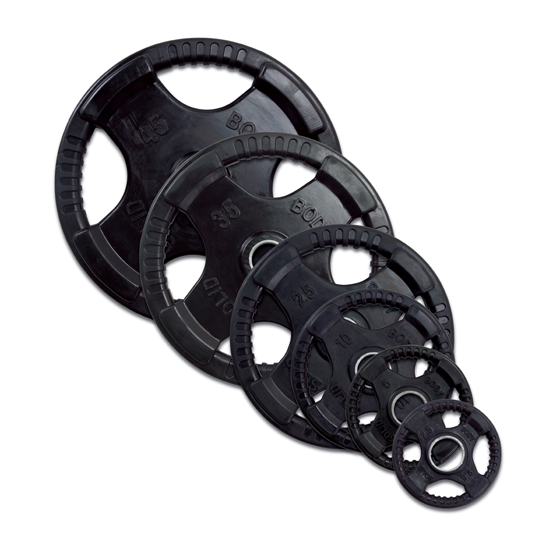 Encased in durable, heavy-duty rubber to prevent scuffing or damage to equipment, walls or floors. 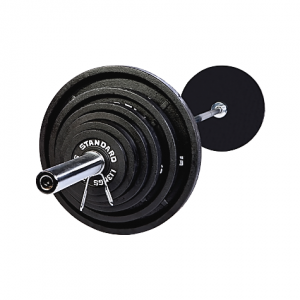 Impact-resistant, these Olympic Plates will not split, crack or peel. 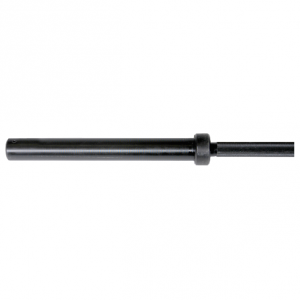 They are also impervious to rusting, chipping, flaking or losing their color, and the integrated metal sleeve provides a smooth, secure fit onto any Olympic bar. 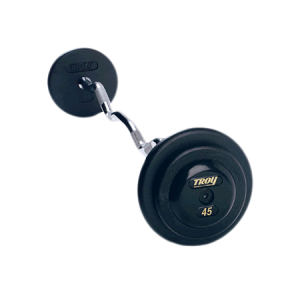 Heavy lifting has never been easier or safer. 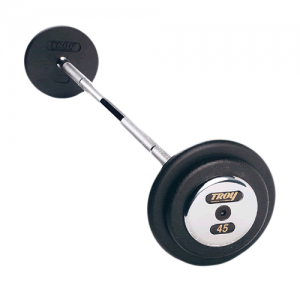 • 255 lbs of Olympic style weights. 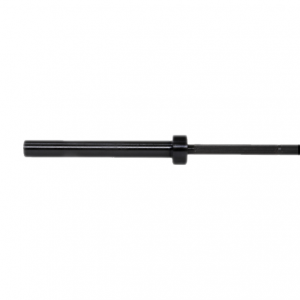 • Quad-grip design guarantees safer and easier performance. 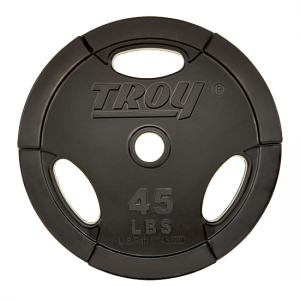 • Encased in durable, heavy-duty rubber. 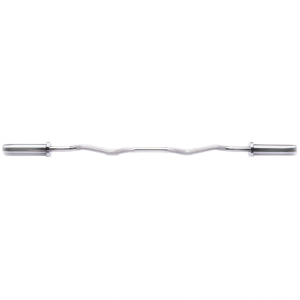 • Will not split, crack or peel. 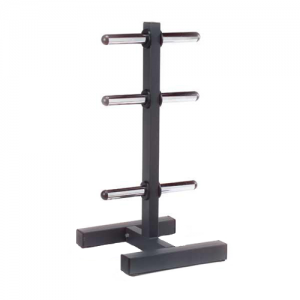 • Impervious to rusting, chipping, flaking or losing their color. 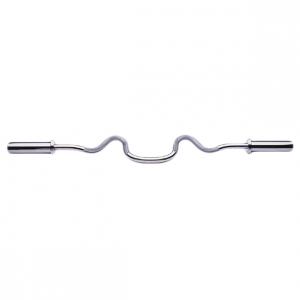 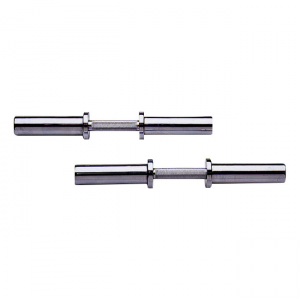 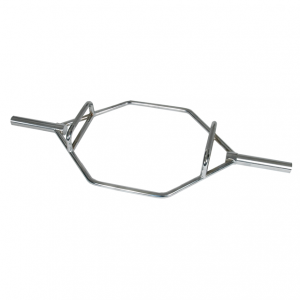 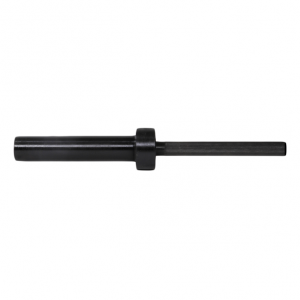 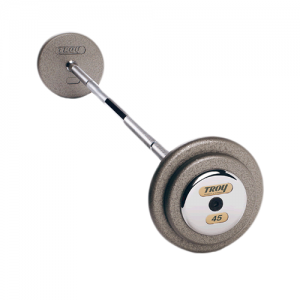 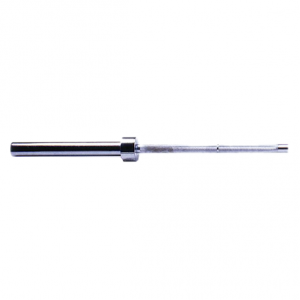 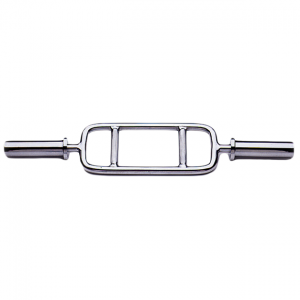 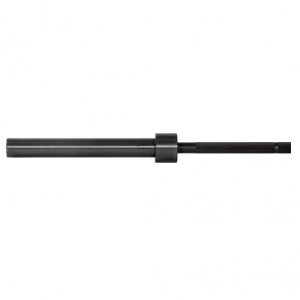 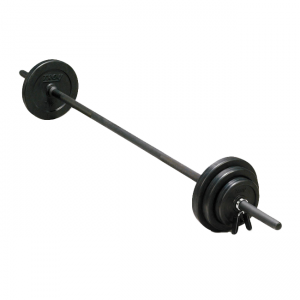 • Integrated metal sleeve provides a smooth, secure fit onto any Olympic bar.